In the Seventies, going often to meet, in big cities like Rome or Milan, the great African American musicians who came to give concerts, but it was a little more rare to find Italian jazz musicians, or producers, who took advantage of these "trips". 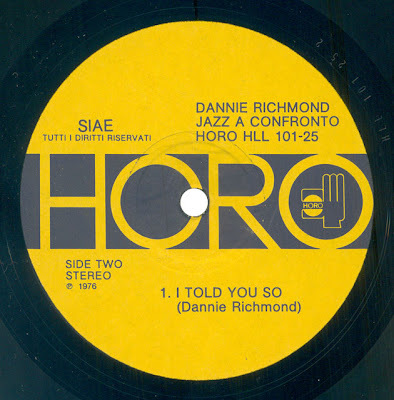 Once it was successful, for example, on 24 October 1970, when Giorgio Buratti, taking advantage of some free hours of the group that Charles Mingus had presented to International Jazz Festival in Milan, he recorded the excellent LP "A Smooth Day" by Dannie Richmond, Jaki Byard, Eddie Preston and Bobby Jones (soon on Jazz from Italy). This happened a few times, I said, but almost every time, there was Aldo Sinesio. 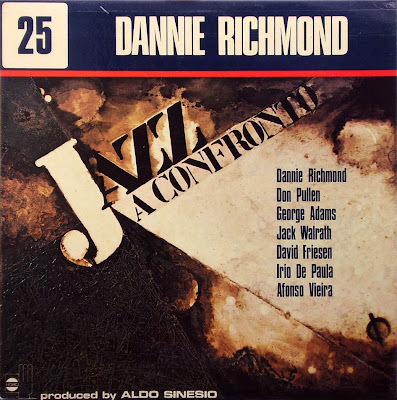 Closely associated with Charles Mingus, Dannie Richmond was on most of his sessions from 1955-1978, showing impressive versatility. Richmond and Mingus made for a very potent team, shifting rhythms, tempos, and grooves together, hinting at New Orleans jazz now and then while sometimes playing very freely. Richmond was originally a tenor saxophonist who as a teenager played R&B, touring with Paul Williams. He took up the drums in 1955, and six months later joined Charles Mingus when he proved that he could play at very fast tempos. 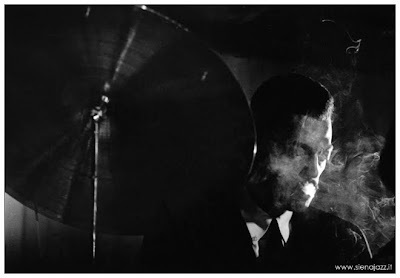 During Mingus' off periods, Richmond freelanced with Chet Baker, the group Mark-Almond, Joe Cocker, and even Elton John. 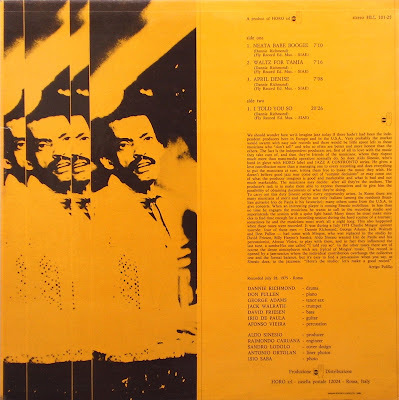 After Mingus' death, Richmond played with Mingus Dynasty and then became a member of the George Adams-Don Pullen Quartet (1980-1985), occasionally leading his own groups. 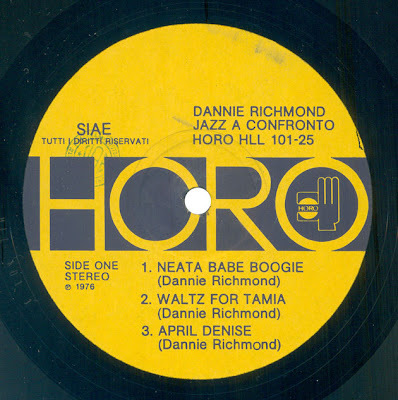 A1) Neata Babe Boogie - 7'10"
A2) Waltz For Tamia - 7'16"
A3) April Denise - 7'08"
B1) I Told You So - 20'26"
the sound was wonderful, great records...any chance to see them digitalized... ? thanks for your wonderful passion and efforts ! with respects, merci beaucoup ! Como se dice Wow! en italia. Tremendo disco. Hi Is it possible to download this please, and if so, How? I second the above request for a re-up. Mega's dead. Where is a download link ??????????? There is none -- which is why we're all politely asking for it.